The awarding of National Lottery funding to help carry out work on some of Southport’s most historic buildings could move a step closer next week. Further funding is expected to be approved by Sefton Council to submit a second round application for Heritage Lottery Funding (HLF) for a major project in the town centre. 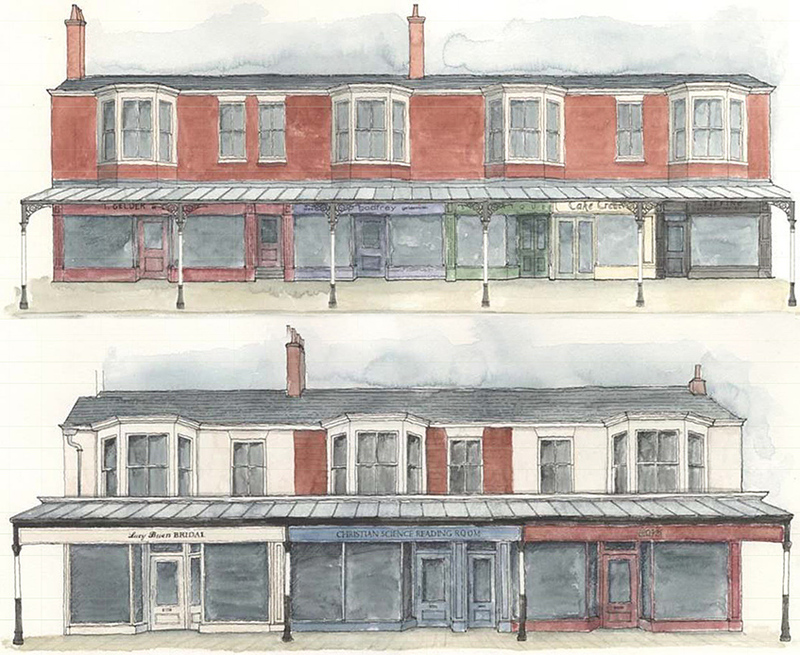 The Southport Townscape Heritage Project aims to enhance the quality and strength of the linkages between the town centre and the seafront so that the two become more integrated. The project also aims to increase the levels of economic activity within a target area and reduce the number of vacant and underused properties. It will focus on historic buildings between Lord Street and the promenade and plans to complement the previous HLF restoration of King’s Gardens and the recent £2 million award from the Coastal Communities funds for the pier. The project would include essential conservation work, involving structural and external repair of historic properties, the reinstatement of authentic architectural features and works to bring vacant floor space in the buildings back into use. Artist’s impression of proposed improvements. Development funding of £70,000 was awarded by the HLF last year to enable Sefton Council, in partnership with Southport BID, to progress their plans to apply for a full National Lottery grant of £1.6m. With contributions from Sefton Council and property owners it could be worth up to £2.36m in total. At a meeting of Sefton Council’s cabinet on 7 February, £200,000 of match funding is expected to be approved to enable the local authority and Southport BID to submit a second round application this June. Councillor Daren Veidman, Sefton Council’s cabinet member for planning and building control, says: “We initially beat off fierce competition from 23 other bids to be one of only five areas within the UK to be awarded the grant. “The match funding just approved will allow us to apply for a full National Lottery grant worth about £1.6m which we will submit in June with a final decision made in the autumn.